MidTN Technology is owned and operated by Ken Ivey, aka ‘the Web Czar’. Drawing on over 20 years of internet experience, Ken has been helping business embrace technology since 1987. 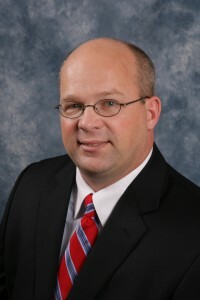 He is a business consultant, writer, web designer, and president of MidTN Technology. * First, we listen attentively to your objectives – and we work with you to creatively craft a solution, and once agreed – deliver engaging results. * You will always get fast and friendly responses to inquiries or service requests. * We’ll provide a professional look that works; with style that reflects your identity. This is something that is very close to our hearts. We are extremely lucky to be involved with a number of incredible community projects, charities and social enterprises – you will see references to them regularly in our blog. We hope you will take the time to find out more about them and the ways in which they are contributing to our community. But there’s more to it than just our community service. While consumers vote with their dollars, businesses can equally influence their environment and perhaps change the world by being selective about those they choose to do business with. People work with people they like, and businesses work with like-minded businesses. The passion we have for what we do comes from our freedom to stay true to these principles. We choose to serve The Lord in all we do. Much of our success can ultimately be traced back to remaining true to these principles. Our growth is simply a side-effect of working with organizations that believe – as we do – that business is not only about profit. The 2007 Dove Award for “Making a Difference”.